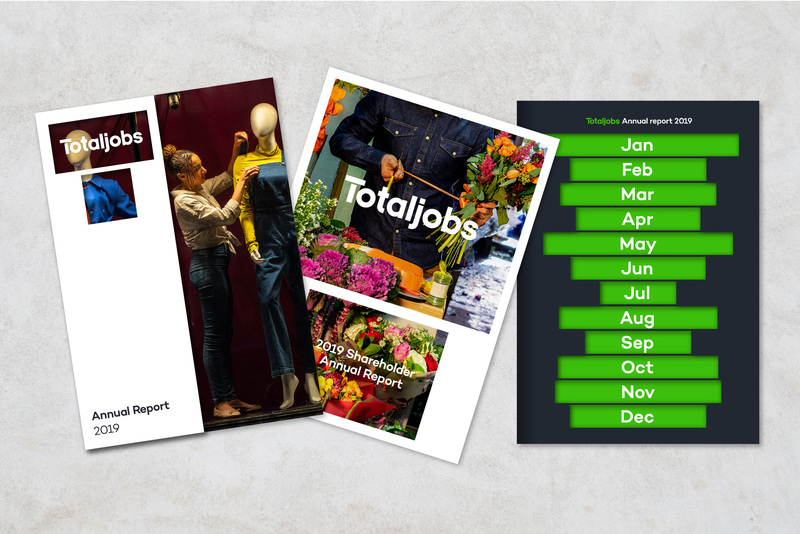 Totaljobs collaborated with creative agency DesignStudio to help define their brand positioning, and bring it to life visually. Beginning the process with an immersion stage, representatives from DesignStudio met Totaljobs employees in order to understand what the brand means as a service to employers and workers. The result is a new brand identity, represented in part by a signature ‘T’. With almost 300,000 live job vacancies on the platform at any one time, the brand mark signifies the breadth and depth of roles available to candidates on the Totaljobs platform, with adverts for roles as broad as bartending, or as niche as a Full Stack Python Django Developer. With this in mind, the ethos of the Totaljobs brand is focused around the individual, and the knowledge that work holds a different function in the life of each person, with different factors taking precedence in each job search. 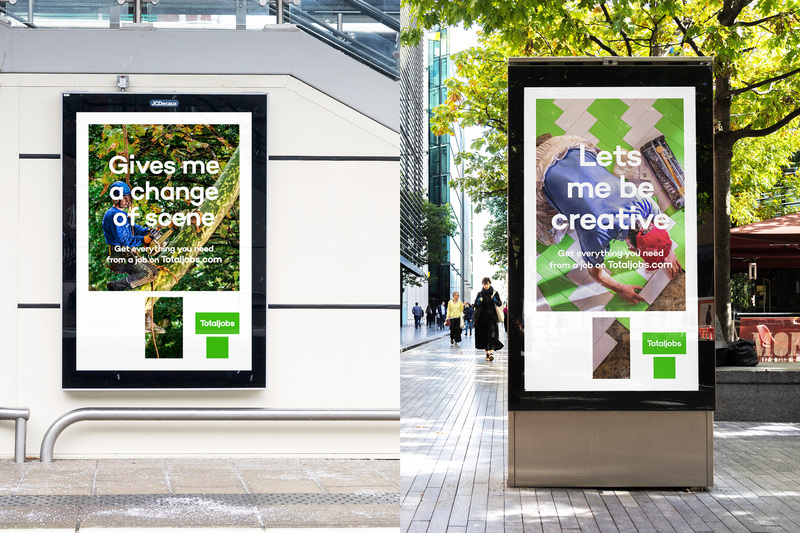 In motion, the new brand identity sees the Totaljobs ‘T’ grow, shrink and adapt to reflect the unique demands of different peoples’ job search. The old logo is the kind of thing that hunts my dreams… that lowercase “j” acting like an uppercase, the two different “t”s, the spacing, the wonky everything. *Shivers*. The new logo, as most people will see it on Totaljobs’ website, is a technical improvement in that the typography is better and properly done but it’s the new generic and, coming from DesignStudio in particular, it feels very one-note-ish as it’s pretty much the same font as in Airbnb. Perhaps it’s unfair (that we can’t allow DesignStudio the same font or font style) and most likely none of the audience of Totaljobs will know or care but that’s why Brand New exists. Anyway, there is another variation of the logo that’s a big, bold “T” that can flex and contort in different ways, creating an interesting and engaging graphic device that works particularly well in motion. The logo within the logo (wordmark within the “T”) is interesting but it might prove troublesome in application as it can’t shrink too much. The ad applications where there is a flexed “T” holding a photo and the “T” logo in the corner feels like too much of the same. Overall, there is the start of something in here but it doesn’t feel as fully fleshed out as other DesignStudio projects. (Est. 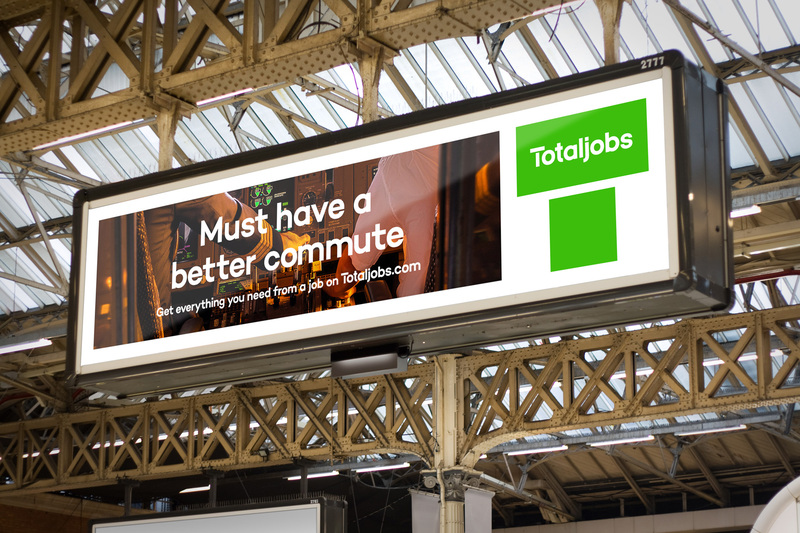 1999) \"Totaljobs is one of UK's leading job boards, attracting 12 million visits and 3 million applications from qualified jobseekers every month. 130,000 new candidates register with us each month who have an average of 170,000 jobs a month to choose from, posted by thousands of employers including Amazon, Sky, Virgin Media, DHL amongst many others. We were formed in 1999 and we are part of Totaljobs Group Ltd, the largest and fastest growing UK job board company in the UK. Our head office is in London, and we also have offices in Birmingham, Cardiff, Leeds, Manchester, Nottingham and Glasgow. 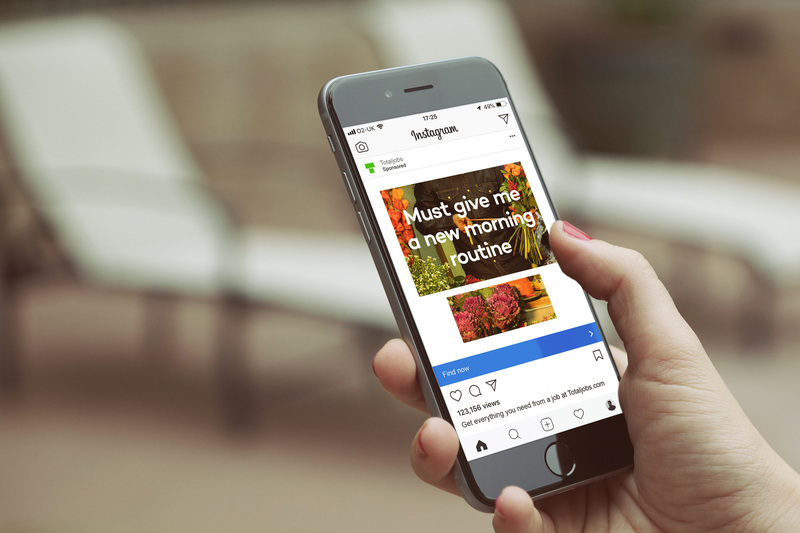 In turn, Totaljobs Group Ltd is a significant division of StepStone Group, one of the largest job board companies in the world and a subsidiary of Axel Springer Digital Classifieds.\"